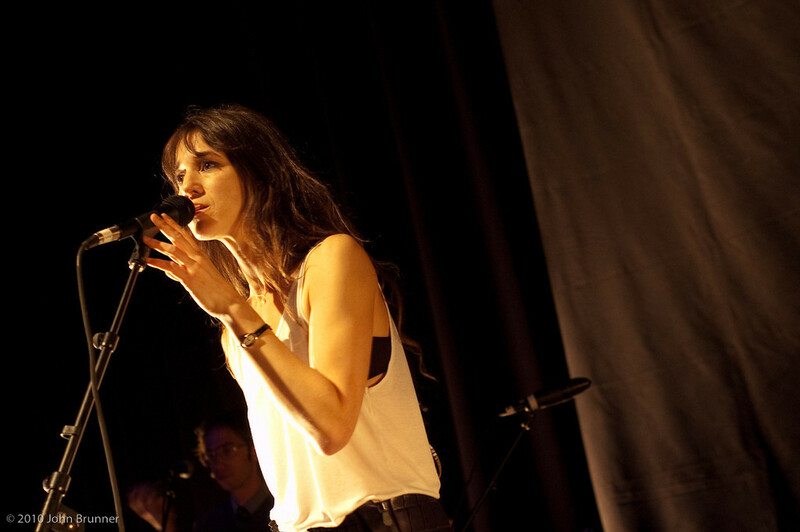 Charlotte Gainsbourg played Chicago’s Park West last night, and Pitchfork’s photographers Sanchez and Kitahara captured shots of the night’s live set, plus a few backstage portraits after the gig. Charlotte Gainsbourg is no stranger to the limelight. The singer/actress has appeared in dozens of films and, as the daughter of French pop maestro Serge Gainsbourg and vocalist/actress Jane Birkin, enjoys elevated status overseas. Yet Wednesday at a well-attended Park West, the 38-year-old musician seemed a bit shy, keeping animated movements to a minimum and her arms relatively still as she sang. While Gainsbourg’s reserved stance could be traced to nervousness—she’s currently on her first-ever tour—the slender chanteuse performed with an unshakable poise that suggests the approach owes more to an invigorating spin on modern pop customs. Rather than attract attention in an ostentatious manner, Gainsbourg’s appeal stemmed from cool sophistication, sly contrast and unforced intimacy. Her adorable accent didn’t hurt matters. 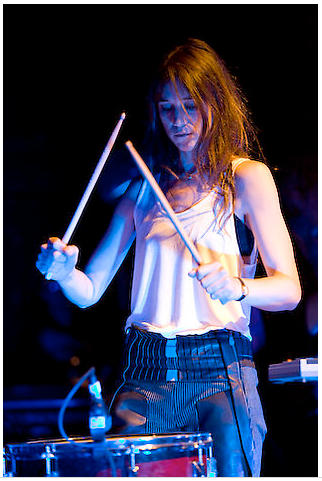 Neither did the multi-talented quintet assembled by Beck, who collaborated with Gainsbourg on her recent « IRM » album. Accompanied by a diverse array of instruments that included marimba, keyboards, drums and maracas, Gainsbourg explored styles ranging from whimsical folk (« Me and Jane Doe ») and bounding glam rock (« Dandelion ») to crawling funk (« Looking Glass Blues ») and upbeat tropicalia (« Le Chat du Café des Artistes »). Percussive textures and atmospheric synthesizers peppered a majority of the 75-minute set. However, nothing outstripped her sensual vocals, delivered as a series of daring coos, discreet whispers and dreamy spoken-word asides. Whether contemplating her near-death experience from a water-skiing mishap or imagining life’s last moments before a plane crash, Gainsbourg excelled at summoning eerie moods and finding subtle humor in chilling scenarios. Her soft tones resonated with mystery and intrigue. Dark and shadowy, « La Collectionneuse » sounded like the theme to a 1940s noir movie. She inhabited the narrative personas on songs such as the edgy « The Operation » and melancholic « In the End, » mesmerizing with natural elegance and delicate melodies. Gainsbourg paid tribute to her father with a faithful cover of his « L’Hotel Particulier » before allowing the band to add a noisy coda that brought the slinky tune to a boil. But it was a breathtaking interpretation of Bob Dylan’s « Just Like a Woman »—stripped to the core, draped in sadness and vulnerability—that revealed the extent to which Gainsbourg’s hushed techniques can meaningfully reshape pop traditions. Having a famous name or an acting career is both a massive blessing if one is entering upon a music career and a something of a curse. There’s always someone there to say you don’t belong, you didn’t pay your dues and you’re getting by on star power. I don’t need to name names here, but often that someone is right. 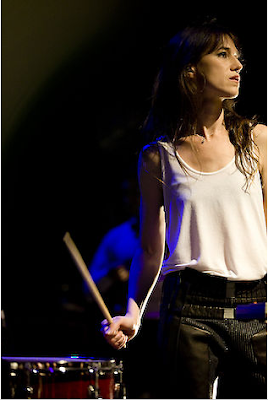 But perhaps when it comes to actresses turned pop singers, Charlotte Gainsbourg has the star power that can blind most of the critics—her father, Serge, was the French supernova of ’60s cool, and her mother (Jane Birkin) a U.K. icon of the era, and Charlotte’s had a robust career in art cinema. Music seems a sideline for her; she’s not throwing herself into it as if she’s just one of the guys starting in the garage. She’s self aware and respectful of what’s come before and, I’m guessing here, the privileged position she is in. For her first Chicago show—evidently only the second time she’s been here, period—Gainsbourg showed up ready to work in a kind of androgynous Patti Smith–meets-Barbarella look, simple white tee and leather-armored trousers, with a band that was all business in oxford shirts and ties. And Gainsbourg’s band was key—with an upright marching drum, xylophone, violin, Korg analog keyboard and assorted acoustic and electric guitars (don’t forget the guy playing the plucky bass tones on the Hofner-style four-string). As with her three albums—5:55 produced with Air and IRM with Beck, Gainsbourg has the clout to work with heavies in the genre. But the greatest pleasure in her first Chicago show was seeing her move among the genres—the staccato robot funk of the Beck material, the groovy space rock of the Air joints and, surprisingly, some fairly straightforward cover songs. Bob Dylan’s “Just Like a Woman” was a gem in Gainsbourg’s reading. But the big news? Gainsbourg did Gainsbourg. She “had this beautiful abattoir of songs,” she said, in her father’s oeuvre and needed something to fill out the set for this, her first real tour. While she said, “I never thought I would sing one of his songs,” she went and did it in Chicago, picking a rocking track, “L’Hôtel particulier,” from Histoire de Melody Nelson. Elsewhere on this tour, she’s covered his “Sorry Angel” and “Couleur café.” She’s certainly entitled. Gainsbourg isn’t a traditional pop singer in any sense, and her delivery, while always on time and in the note, was also aided by her female rhythm guitarist’s voice through most of the gig. But in context, her whisper-singing seems like the direct descendent of her dad’s talk-singing. But oddly enough, I wasn’t hyperconscious of her genes throughout the gig. Gainsbourg’s journal entries–turned-songs are more than adequate as raw material, and she’s dressed them up in all the right clothes. She’s not going to set the world on fire with her music, but it’s far from a vanity project—as with everything she does, an intelligence and wisdom shows through. It might be the opposite of rock & roll, but sometimes, that’s just what one needs. The Park West was a newfound discovery on Wednesday evening, despite having a storied history dating back to the 1920s. The tales told moments earlier that it was a former gentleman’s club were easily confirmed upon first sight with its sprawling domed ceiling and elegant black lounge couches dotted everywhere; balcony, floor, and under the stairs. Similarly the svelte Charlotte Gainsbourg made her historic Chicago premiere, despite a music career dating back to 1984 encouraged by her father, Serge Gainsbourg. For the unaccustomed, think of Serge as the Mick Jagger of Europe and you will understand the landmark status of this sylphlike songwriter. Coming to Chicago for the second time ever, the last being 18 years ago for tourism, Charlotte was celebrating the release of IRM. 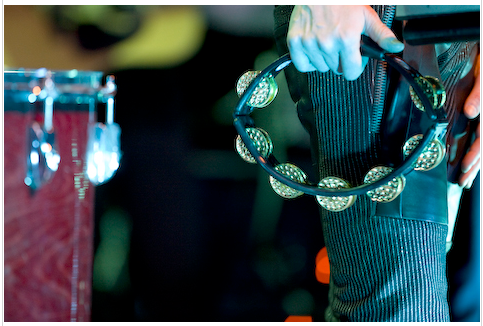 The French acronym for MRI was ever present as her backing band swept onto the stage with the heartbeat pumping « IRM. » The echoing samples of magnetic resonance imaging engulfed the cavernous venue, soaking into the plush noir cushions and subtly vibrating wine glasses. The contemplations over a 2007 cerebral hemorrhage were as haunting as ever, given new life on tour. « Master’s Hands » shortly followed with its sing-song staccato over Eric Gardner’s precise, concentrated drumming. 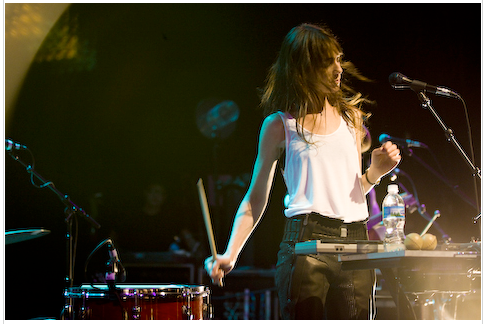 Charlotte’s delicate, breathy vocals were nearly whispers contrasted by Eric’s massive bass drum perched aside the set. The fourth song of the night, the classy folk of « Me and Jane Doe, » is as bare as Beck can get with acoustic guitar plucks wrapping around Charlotte’s plain yet harmonious choruses. Charlotte Gainsbourg Park West Chicago DrumsThe setlist was a rare showcase of a visibly shy singer, stretching to her songwriting with Jarvis Cocker to exceptional covers of her father’s timeless tracks. The delivery, although delayed in being performed live, felt like a time capsule opened and pulling the public back ten, twenty, thirty years in the past-not mentioning the Park West’s giant disco ball above. Charlotte’s loose, pacifying voice was encircled by a backing band hand-picked by Beck. The aforementioned Eric was accompanied by Bram Inscore (bass), Amir Yaghami (violin, guitar, percussion), Brian LeBarton (keyboards) and Nicole Morier (guitar, percussion). The passionate precision exuded a subdued mastery little seen in concerts, as with « Greenwich Mean Time » that evening. The calculated funk over a garage fuzzed vocals left the mixed anglo-franco audience jouncing and bobbing, much as when « Dandelion »‘s blues driven guitar washed through. Nicole Morier’s guitarwork exuded the classic 1970’s vintage cool, straightforward and determinate without a hint of trying on the track seemingly orchestrated for the Second City. The evening also unveiled an overhauled « Le Chat du Café des Artistes, » which changed from a folksy soundtrack to a noir film to incorporating a complex, funky production out of the mind of Beck. « Trick Pony, » a personal favorite, ended the main set with Charlotte’s featherlight voice leadened by Eric’s mallet drumming and Nicole’s grungy guitar. Yet the undeniable moment came when she timidly introduced a cover of her father’s « L’Hôtel Particular, » stemming from « a beautiful repertoire of songs. » As if her debut show in Chicago was not enough, she charmed the French and English crowd-goers with the first cover performance of the track. The moment transported Lincoln Park to 1971 as her punctuated vocals held the same mesmerization as the original, albeit not as deep and throaty as her father’s. The evening’s encore closed with Serge’s « Couleur Café, » after cheering and calling out (although I had been expecting the French « une autre » instead of « encore » given hearing « C’est génial Charlotte! »/ »This is amazing Charlotte! »). The lively track stirred the entire venue to life with people singing or dancing to the chorus; a celebratory ending to such an earnest, shy first performance. 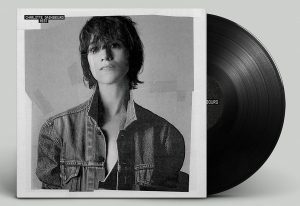 In a night full of firsts, Charlotte Gainsbourg’s performance affirmed her charm over singing, an enchantment far more vibrant and elaborate than anything you would hear on a mere vinyl or album. She perfected a passion through her performance.